Recently I was staying overnight in a rural cottage and decided to get up for an early walk. It was bitterly cold, the ground rock-hard, with hoarfrost crystal kaleidoscopes in the hedges and furrows as the red sun inched above the horizon. As I tramped along the field-edge footpaths, walking fast to warm myself, I was scanning for signs of wildlife. Apart from a few Brown Hares and some Rooks arriving from their roost, the fields were bare. However the hedgerows and field margins were bursting with life. 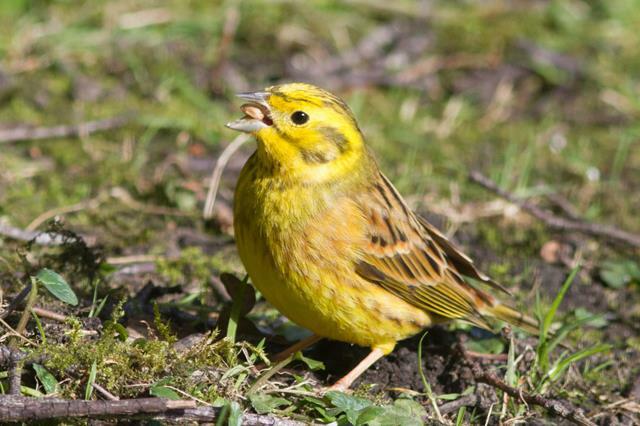 European-funded incentives for conservation-friendly farming meant there were wide, weedy borders to the fields where flocks of Chaffinch, Goldfinch, Linnet and Yellowhammers scrabbled for seeds and rose in noisy colourful flocks. There were half-melted trails in the long grass from Wood Mice, Field Voles and shrews, with hovering Kestrels using their ultraviolet vision to seek them out. Rabbits and Pheasants slalomed around the bases of the hedges to avoid me. The rich diversity of the margins contrasted starkly with the barrenness of the fields. How absurd that economists and agronomists call the chemically-enhanced deserts of commercial farming ‘improved’ and the natural richness of the margins ‘unimproved’. But the richness of life at the margins got me thinking. A few days earlier I’d been helping out with a winter night-shelter run by our church for migrant homeless men in Southall, London. These were people living on the edge, on the unimproved margins of society, dependent on scraps and leftovers. Many were struggling with addictions and mental-health issues, as well as the confusions of alien language and culture, and the disappointment of broken dreams. They are a fraction of the millions of the marginalised in our fractured world, forced to move by conflict and climate. I was impressed by their dignity as they sought to help me fold their camp-beds and sort their bedding before they set off into the cold. As I reflected on these two experiences of life on the margins I remembered the biblical story of Boaz and Ruth. God cares for those on the margins – human and nonhuman – and calls us to welcome them hospitably, sharing in the bounty God provides through creation. Life is not meant to be about maximising economic returns whatever the ecological and human cost, but about deepening relationships and recognising our connection to those on the margins. Thinking further, I realised how frequently God speaks from the margins to make us aware of our barrenness. Jeremiah, Ezekiel and John the Baptist were amongst many prophets who saw things more clearly because they were on the edge, impervious to the polluting effects of a toxic society. In our globalised fossil-fuelled world, addicted to the false gods of unbridled economic growth and consumer excess, we need to listen to those on the margins. We need to hear the voices of refugees, poets and prophets, and the cry of the last Skylarks and Turtle Doves, with their warnings of disaster and their invitation to a different and better way. Finally, writing as A Rocha UK launches the new EcoChurch initiative, I believe there’s a prophetic call on Christian communities to move to the margins. We need to live out a different vision, to embody alternative values from the mainstream discourse. Our churches can model a way of life that celebrates life at the margins, welcomes the stranger, cares for biodiversity, and demonstrates the richness and joy to be found in sharing and simplicity. So, can I encourage you to join me in seeking to look out, listen and learn from those on the margins? As we do so, we may just find that Jesus has got there before us. 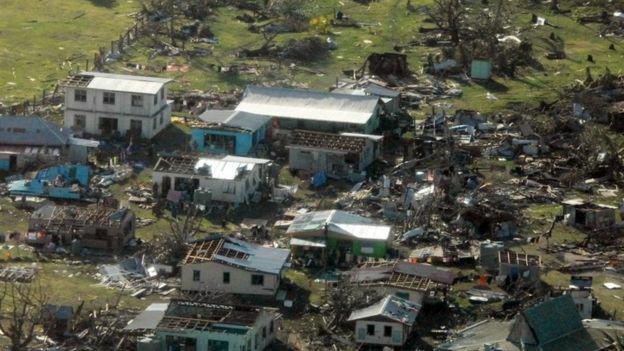 Cyclone Winston has wreaked damage across Fiji with over 40 people now known to be killed and thousands of people seeking refugee in shelters as wind gusts over 230mph blew over the islands. Waves were over 12m high and torrential, rain flooded Fiji. - that families who have lost loved ones would feel God's love around them as they work through this tragic loss. Orphans: many children have lost both parents in violent clashes with rebels, gangs and or trbal conflicts. Pray that Father God would draw these children into caring families. Kidnapped: reports of people being kidnaped and held by militia are often reported. Please pray for the authorities who need to scale up their activities to deal with these serious crimes. Homes destroyed: families caught up in the conflict have had their homes and possessions destroyed in fires. Pray for a peaceful solution to be brought in and that the church in the DRC can be a helping hand to all those who have lost so much. Let’s also pray with Samson and all who are involved in seeking to stop the spread of HIV in DRC. In the context of so much violence, HIV continues to be an ever present threat. We pray that information and action will work hand in hand to prevent the spread of HIV. Dear God, please make us dangerous people. May we be people who acknowledge our power to change, and grow, and be radically alive for God. Dear God, please make us dangerous people. Amen. Lord as we plan and gather at each of these locations we ask for your wisdom and presence to guide our discussions and decisions. May you ensure fruit grows from each activity.